He tried to buy a cell phone using “LetGo” app. Instead, he got pepper sprayed, robbed and beaten. A 39-year-old man who wanted to buy an iPhone instead had to phone police after he was pepper sprayed, beaten and robbed, according to the Sarasota County Sheriff’s Office. The victim arranged to purchase the device over the popular “LetGo” phone app used for buying and selling used items nearby. He met up with the seller in a public parking lot in the 3700 block of Cattlemen Road in Sarasota around 12:30 p.m. on Sunday. Brandon Reddish, 19, handed over the iPhone and accepted $400 cash for it. Then he tried to take the phone back by force, according to the sheriff’s office. Reddish then pepper-sprayed the victim and struck him in the head and face before jumping into a getaway car. The gold Buick sedan was driven by Marvin Jones, 18. Taylor Henderson and Jordan Jackson, both 18, were passengers. Detectives determined that the ad for the phone was posted on Henderson’s LetGo account. A witness at the scene of the robbery reported seeing a female that matched Henderson’s description counting the stolen cash as the Buick drove away. 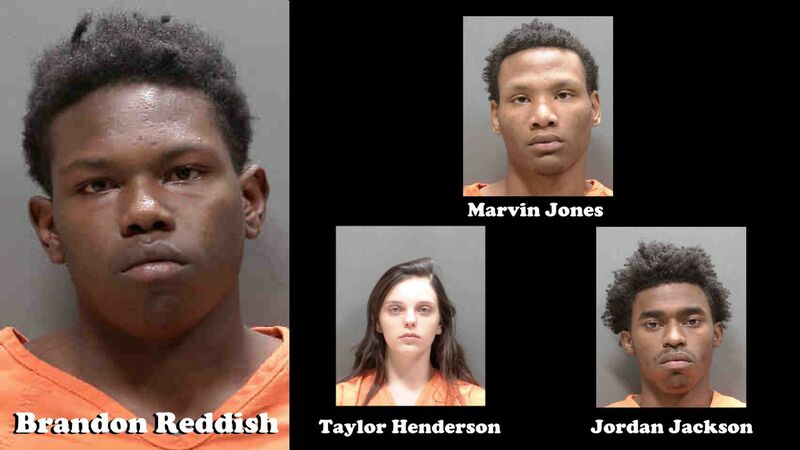 All four suspects were arrested on Tuesday.